More than half of businesses allocate more time to training their staff in social media strategies than on honing employees� face-to-face and telephone sales techniques according to new research from Sales Commando. The research surveyed sales teams across the financial services, travel and media sales sectors in the UK, USA and UAE and found that 54% of organisations preferred to focus their sales training programmes on attracting potential clients via sites such as LinkedIn, rather than developing interpersonal sales skills. "These days, providing a fantastic product and flawless service is no longer enough," said Doug Tucker, founder of Sales Commando. "Clients need to feel as though they are getting maximum value for money. As such, it�s more important than ever to engage directly with prospective customers." "Clearly, in today�s connected world, social media has its uses and it very much should be a part of the marketing mix. However, the one-to-one sales approach, built on a strong rapport, cannot be rivalled to close a deal." "Our research underscores how many companies could be missing out on a myriad of sales opportunities because they have forgotten the fundamentals of salesmanship." "Increasingly, companies are focusing on elaborate social media marketing ploys and neglecting to pay attention to the vitally important issue of spiking and maintaining a client�s interest � something which is essential to secure new and repeat business," continued Doug. With the contemporary focus on new, technology-based marketing instruments, there has been a general atrophying of proven sales weapons and Doug believes that many firms, and salespeople, are suffering the effects of this. "As computers are increasingly coming between companies and their potential clients, it�s time to get back to basics. 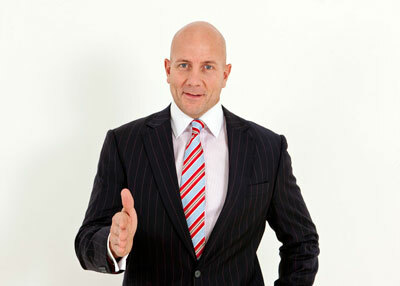 Speaking to someone directly, whether that is over the phone or in person, builds trust which makes it far easier for the sales person to do their job and for the client to feel in control of their decision when committing to a sale," says Doug, a former Royal Marine turned international sales coach. "All businesses are sales-led organisations. As such, firms should be dedicating more time than many currently are to encouraging their salespeople to master the one-to-one techniques that will close the deal."